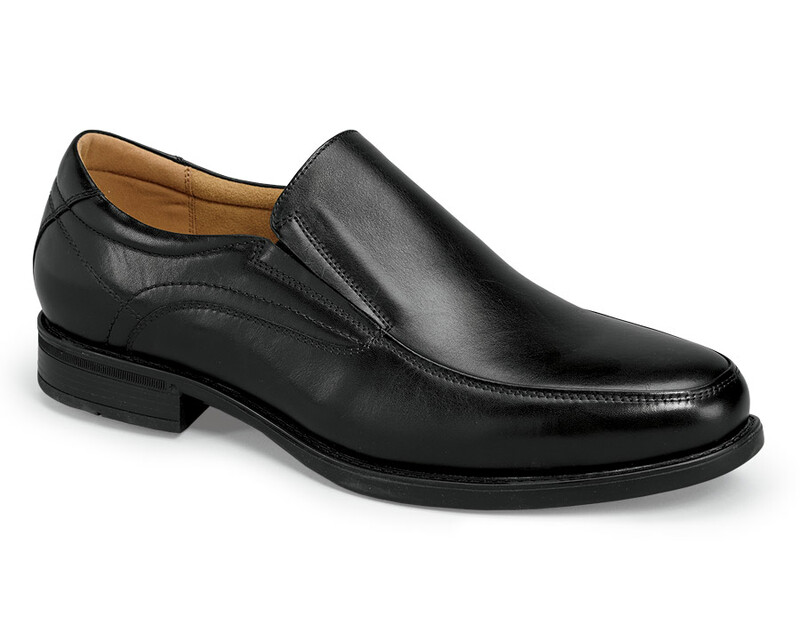 Very handsome and supremely comfortable, Florsheim’s black “Midtown” slip-on has smooth leather uppers lined with softly padded Suedetec and a fully cushioned removable footbed with Ortholite® high-rebound foam topped with leather. 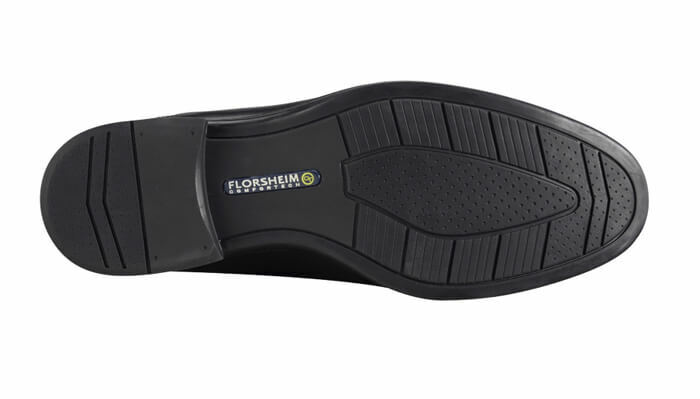 Damp-defying Comfortech rubber sole and heel. Men’s sizes 7–11, 12, 13, 14, 15, in 3E; 8–11, 12, 13 in 5E.